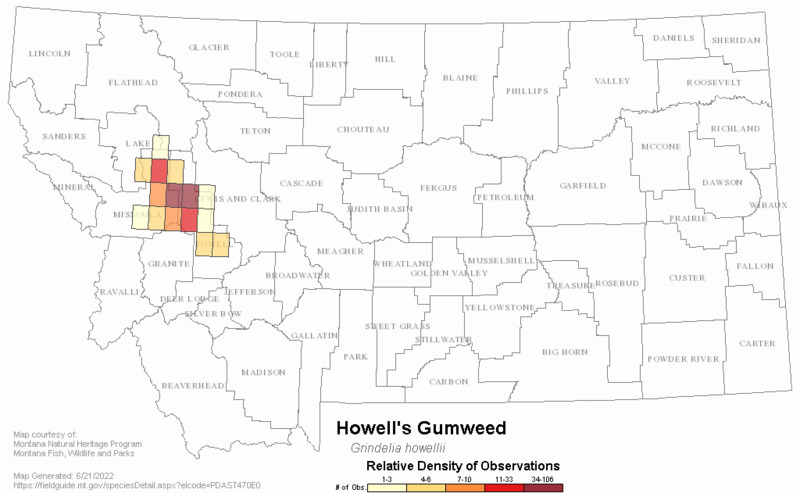 In Montana, Grindelia howellii is known from over 100 mapped occurrences. However, most populations are small and many occur on roadsides or other similarly disturbed habitat. This habitat preference in conjunction with the short-lived nature of the species means occurrences may drift from place to place or from year to year and as a result many occurrences may be ephemeral. These attributes make determination of population numbers as well as the number of extant populations at any given time difficult to assess. Invasive weeds are a threat to many occurrences, as the habitat occupied by G. howellii is also favorable for many weedy species. Application of herbicides to control these weeds, especially along roadsides may also have a direct, negative impact. CommentDeclines have occurred at some historical populations due to habitat alteration. However, the species also occupies roadsides and likely has expanded into these human-created, disturbance habitats. Score 9 to 10 total points scored out of a possible 19. Howell's Gum-weed is a short-lived perennial with stems up to 90 cm in length that are woody at the base and clustered on a taproot. The basal leaves are lance-shaped, broadest toward the tip, and up to 20 cm long. The clasping stem leaves are reduced in size and entire-margined or with shallow, ill-defined teeth. Herbage is resinous and glandular. The stem is glandular-haired and usually has some additional long, soft hairs. Flowering heads are borne in a terminal, open, leafy inflorescence. The numerous, narrow, involucral bracts are resinous and have green, recurved tips. The yellow rays about 1 cm long. Achenes are flared at the top with a few stiff bristles that are easily removed. This species is very similar to G. nana and G. squarrosa. It is distinguished by having glandular, often hairy, rather than glabrous, stems and lowermost stem leaves that are clasping. A recent revision of the genus (Adriana and Tortosa 2012) provides information that the name G. paysonorum should have precedence over G. howellii. 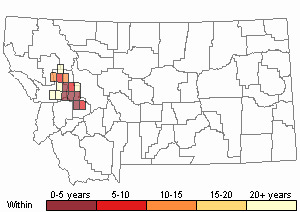 Regional endemic known from Missoula and Powell counties in Montana and in Benewah County, Idaho. Vernally moist, lightly disturbed soil adjacent to ponds and marshes, as well as similar human-created habitats, such as roadsides and grazed pastures. Bartoli, Adriana, and Roberto D. Tortosa. 2012. "Revision of the North American Species of Grindelia (Asteraceae) 1". Annals of the Missouri Botanical Garden. 98 (4): 447-513. Kratz, A.M. 1989. Grindelia howellii - summary of 1989 fieldwork for the USFS Region 1. Lorain, C.C. 1991. Species management guide for Grindelia howellii (Howell's gumweed) on the Saint Joe National Forest. Idaho Natural Heritage Program Report, Idaho Department of Fish and Game, Boise, Idaho. Pavek, D.S. 1991. Update to the report on the conservation status of Grindelia howellii, a candidate threatened species. Unpublished report to the U.S. Fish and Wildlife Service and the Montana Natural Heritage Program, Helena, Montana 66 pp. Pavek, D.S. 1991. Update to the Report on the Conservation status of Grindelia howellii, a candidate threatened species. Unpuhl. 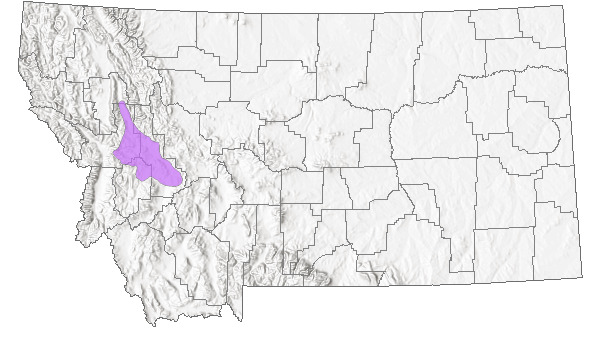 Rep., USDI Fish and Wildlife Service, and Montana Natural Heritage Program, Helena. 66 pp. Shelly, J.S. 1986. Conservation status of Grindelia howellii, a candidate threatened species. Unpubl. Rep. 139 pp. Shelly, J.S. 1986. Report on the conservation status of Grindelia howellii, a candidate threatened species. Unpublished report. Montana Natural Heritage Program, Helena, MT 139 pp. Steyermark, J. A. 1934. Studies in Grindelia. II. A monograph of the North American species of the genus Grindelia. Annals of the Missouri Botanical Garden 21: 433-608. Watson, T.J., Jr. No date. Status report: Grindelia howellii. [Unpublished report]. 11 pp. Williams, E and A. White. 2017. Howell's Gumweed (Grindelia howellii) Genetic Diversity and Conservation Lab Report. National Forest Genetics Laboratory (NFGEL) Project #333. Prepared by Chicago Botanic Garden, Glencoe, Illinois under contract with NFGEL, Placerville, California. Prepared for Karen Stockmann, USFS Botanist, Lolo National Forest, Missoula, Montana. 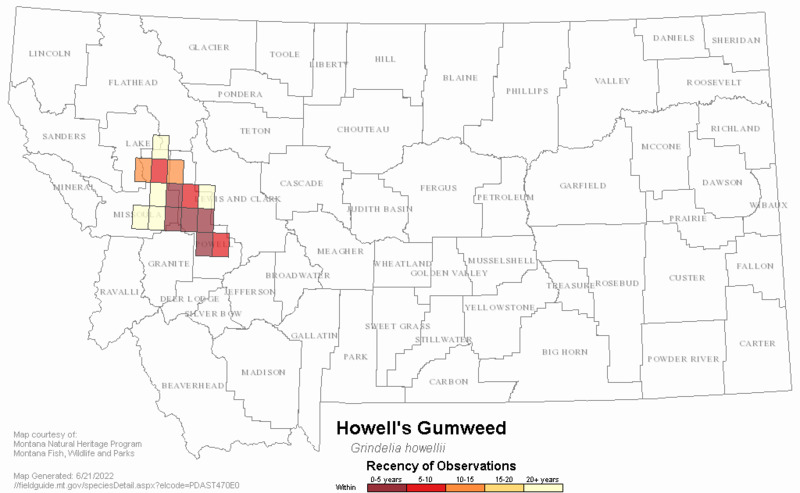 Web Search Engines for Articles on "Howell's Gumweed"